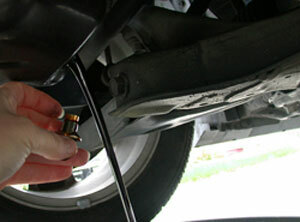 We realize you can go practically anywhere in Petaluma for general car maintenance. However, if you want car maintenance from the best of the best, and avoid the high prices of a dealership, see for yourself what one of our customers said about Northbay Automotive in Petaluma. Specializing in Volvo, Domestic, and Asian automobile makes and models, Northbay Automotive provides car maintenance on Ford, General Motor, Jeep, Honda, Nissan, Subaru, Toyota, and Volvo vehicles. Whether you are looking for scheduled car maintenance or car maintenance services we are here for you. Stop by our car maintenance facility at 929 Petaluma Blvd. South, Petaluma, CA 94952, or contact us for an appointment at [email protected]. If you require driving directions, click to view our map.